Hi girls! I'm back from the awesome weekend at the bridal fair and I'm bringing you beauty and makeup good news. I'm really hoping my sched this Thursday is free so I could go to VMV's Skin Soiree! 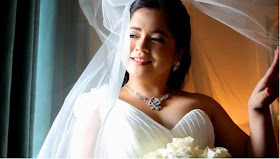 It's gonna be held at VMV Skin Research Center in 117 Carlos Palanca Street, Legaspi Village, Makati City. (near Greenbelt 5). It's pretty exciting because everyone will get a treat! Guests are not only entitled to discounts and gifts from purchases but there'll be a FREE full-sized Ooh-La-Lash! 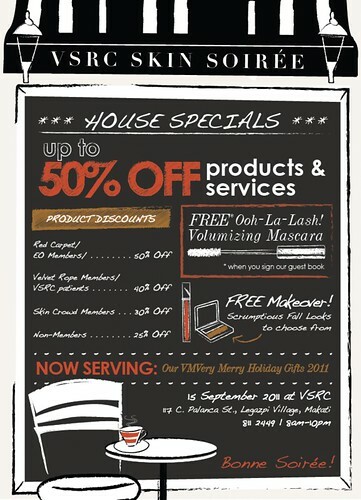 volumizing mascara just by being there :) They're also introducing their Holiday Sets on that day too.